Contract Pending. TRUE LOFT LIVING. Historic ice cream factory gives way to modernized, exposed brick & concrete residence with gas fireplace & private walkout deck. 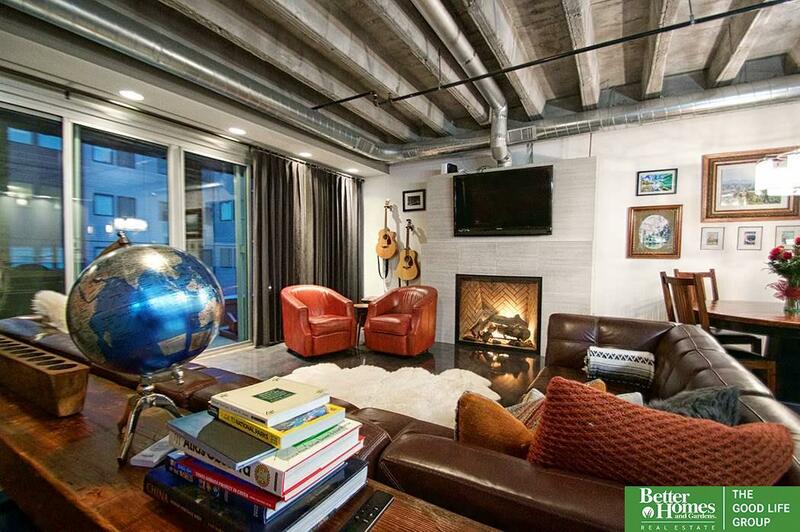 Freshly updated 2 bd/2 bth loft will appease your inner HGTV "Magnolia" design vibe. Fitness studio, community lounge, storage, rooftop deck and fenced dog park are all Kimball Lofts perks. Set along tree-lined, brick streets, just 2 blocks from Omaha's famed Orpheum Theater & Old Market District. Indoor garage parking included.